For my birthday my mom gave me a solar powered moving bicycle lamp - not to mention hand knitted socks and a book of cow poems. For my birthday my mom gave me a solar powered bicycle lamp – not to mention hand knitted socks and a book of cow poems (yes cow poems). THANKS! 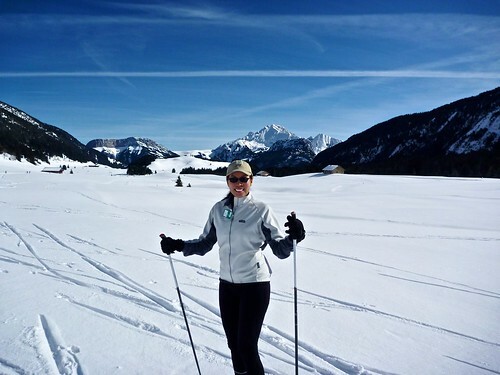 And finally, this weekend Doreen and I had another great day out cross country skiing at Plateau des Glières. 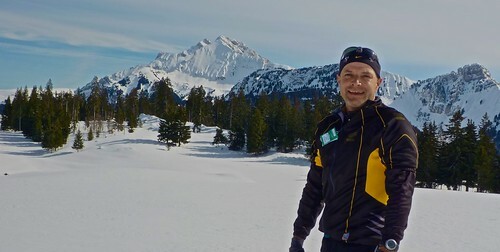 I’ve been out XC skate skiing 15 times this season. It’s a killer workout and there are so many beautiful places to go around here. tu dois déjà être très fort en skating…..il ne te reste plus qu’à acheter une carabine à plomb et tu pourras faire concurrence aux Français lors des JO, pour le biathlon !! !